As exists currently in many organizations, the overlap among these three circles is very small. This is cause for concern and a call for action. 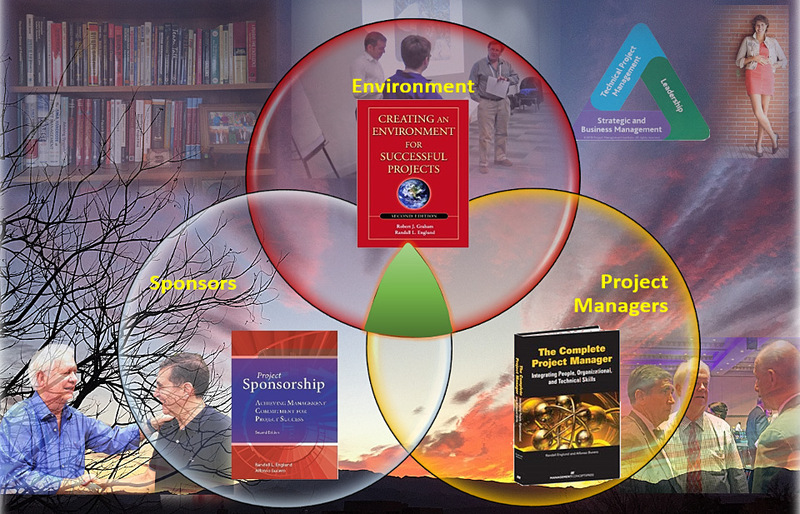 Interactions among people in the operating environment may be “toxic” rather than “green.” Project sponsors may appear by “accident”, do not understand, pay attention to, or sustain their role in project success. Project management methodologies may be scare and project managers may not be appreciated or fully supported to achieve desired project outputs and business outcomes. A necessary goal is to expand the “green space” where these circles intersect. An experienced presenter at professional conferences, chapter meetings, and business offsites, as well as a published author, Randy Englund shares insights, concepts, and reflections from his business experience as a project manager practitioner and his co-author’s observations as a cultural anthropologist/executive educator. These multimedia presentations use video and music clips as well as stories to create a truly unique and memorable experience. * Lead team development, custom seminars, or work sessions. Based upon your objectives, Randy facilitates teams through the brainstorming process to reach an action plan and take the next steps, using tools such as organizational and personal assessments, force field analysis, appreciative inquiry, mindmapping, polling, and analytical hierarchy process. 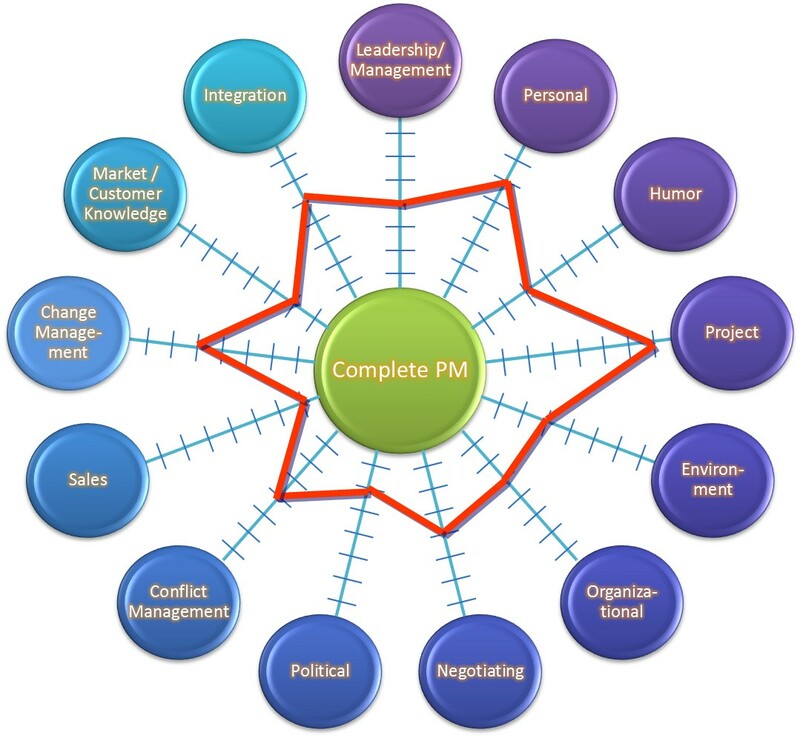 Drawing also from his associations with BUCERO PM Consulting and Valense Organizational Consultants in Europe, Projectize Group, Zozer Inc., Human Systems Knowledge Network, the Project Management Institute, and many other professionals, he can arrange a tailored program addressing advanced topics in project management, team and organizational development. A key enabling factor for developing a project-based organization–one which recognizes that successful projects are key to its vitality–is a project office. A PO is a vehicle for changing management practices necessary to transform the organization, or, at least, to select and execute the projects in its portfolio. Randy Englund has been through this process and can steer other organizations around the pitfalls. 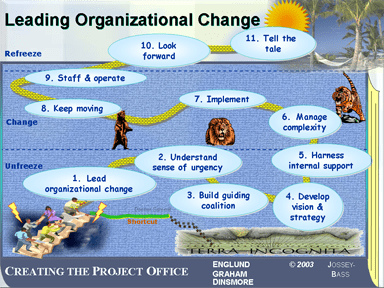 A workshop is available to be scheduled in your area or organization on the topic of creating the project office for organizational change [also known as optimizing results from projects in organizations and as optimizing project success]. View the project or program office as the agent for implementing strategic initiatives. * Train on project management, especially in high tech new product development “All work is projects” and “accidental project managers” are alive and well (not too sure about the wellness). Randy trains the complete project manager and project sponsorship. He offers executive education; he can motivate and train team members, project managers, and managers of project managers on the whats, whys, and hows, drawing upon personal experiences at HP, GE, and from working with many other companies. Together with colleagues from his world-wide network, Randy offers advanced project management training and executive briefings. * Facilitate project start-ups, reviews, and retrospectives In the beginning, project teams need alignment on the purpose, vision, and mission for their project. Conduct a risk management assessment and develop action plans. Along the way, review progress and make mid-course corrections. At the end, it’s time to reflect on what went well and should be continued, what should not happen again, and what should be changed to benefit other projects in the organization. Randy is an experienced facilitator who relishes the process of drawing out this knowledge from participants. 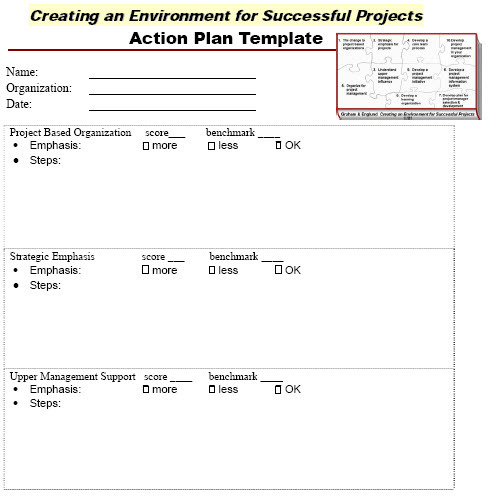 The Environmental Assessment Survey Instrument (EASI) is a quick means to rate the organizational environment on ten factors identified by Graham and Englund in Creating an Environment for Successful Projects, then compare their scores to others. Real value comes from a facilitated dialogue–those who score high share what they do, and those scoring low can learn from others about how to improve. 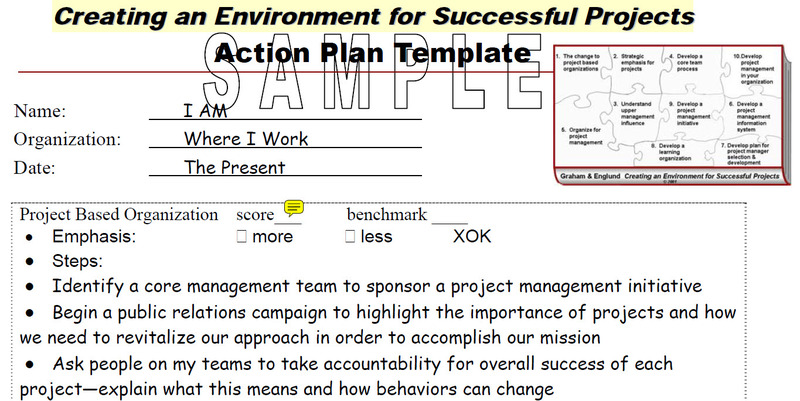 The assessment provides data that helps organizations identify and prioritize ways to support projects. 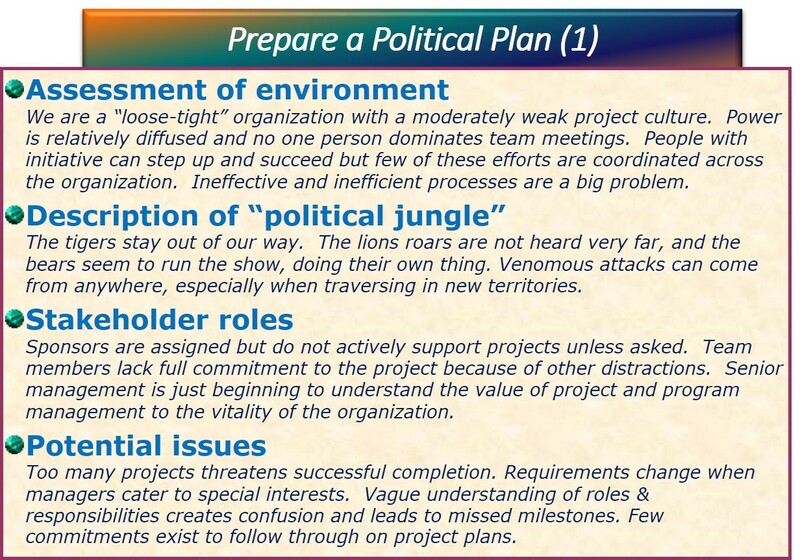 A next step is to guide teams through a political planning process based on assessment results. Other assessments on project sponsors and complete project managers are also available. The trend towards cross-boundary project teams creates a challenge for those who must influence without authority across functional areas, businesses, and geographies. 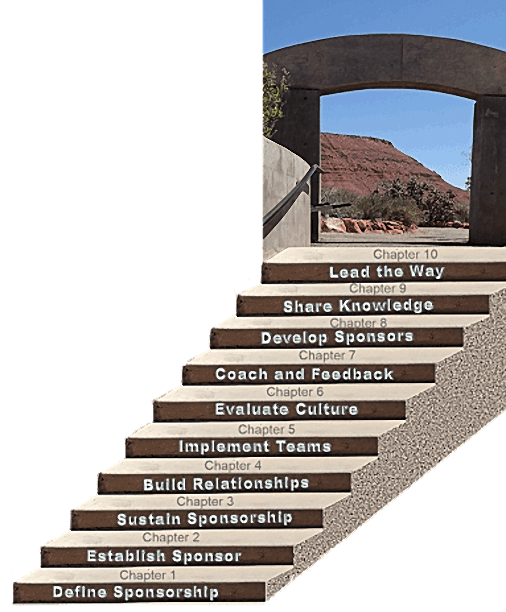 Randy Englund spent many years at HP researching, developing, and training thousands of people on behaviors to help them prepare, establish, maintain, and adapt a relationship-building process. 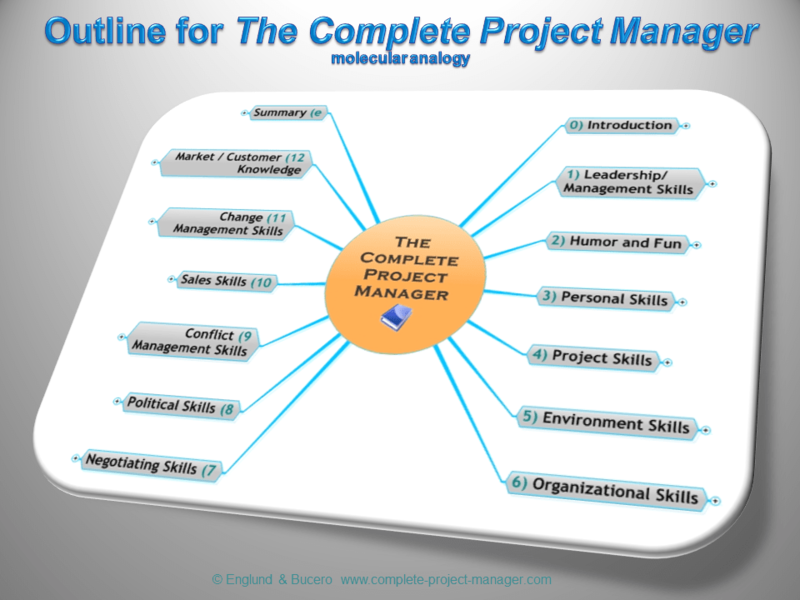 “Too many projects” is an epidemic at every organization. A systematic process helps identify what the organization should do, what it can do, how to decide and then implement a portfolio of projects. Englund draws from the best literature, experts, and personal experiences to train and guide management teams through the political minefield to an action plan supported by all. 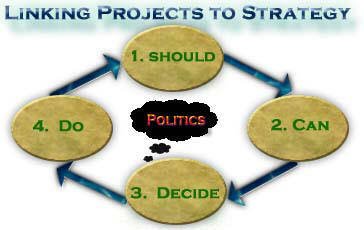 This diagram represents a experiential mental model–a simple yet robust process–for linking projects to strategy. 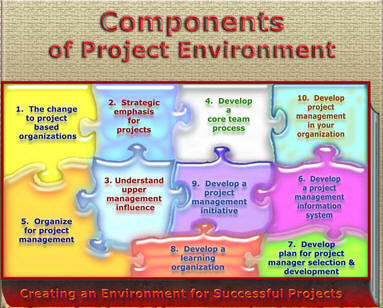 The emphasis is a process approach to selecting a portfolio of projects that meets a strategic goal. It begins with what the organization should do–because that keeps the focus on strategic goals rather than what is easy or comfortable or status quo–then moves into what it can do, a decision is made about the contents of the portfolio, and then it is implemented. The steps continue in an iterative fashion. Each step has a series of outputs, and the outputs of succeeding steps build upon predecessor steps. The steps and outputs are interdependent, as in a true system dynamics model. Developing and implementing such a process means that a successful approach can be achieved, replicated, improved, and shared. I train people on this process in workshops, and coach teams through the process during engagements.